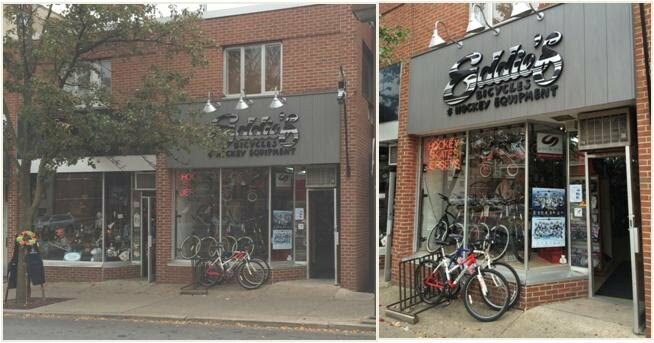 Eddie's Bicycles and Hockey Equipment is conveniently located in downtown State College, Centre County PA. Our street address is 480 East College Ave. There is metered parking available on East College Ave. right in front of our store. If you need help finding us, please call 814-234-3111 for more specific directions.